This is a little private journal for recording a “Lenten Journey to the Foot of the Cross.” This little journal begins with four pages inside a cover and held together with a paper ring. The pages can be left blank, or some suggestions to title the pages are: Acts of Kindness; Prayers of Thanksgiving for; Prayers for Others; and I Give up this, today. This project, “Lenten Journal,” can be found in the 6th Grade Projects Gallery in the sidebar. 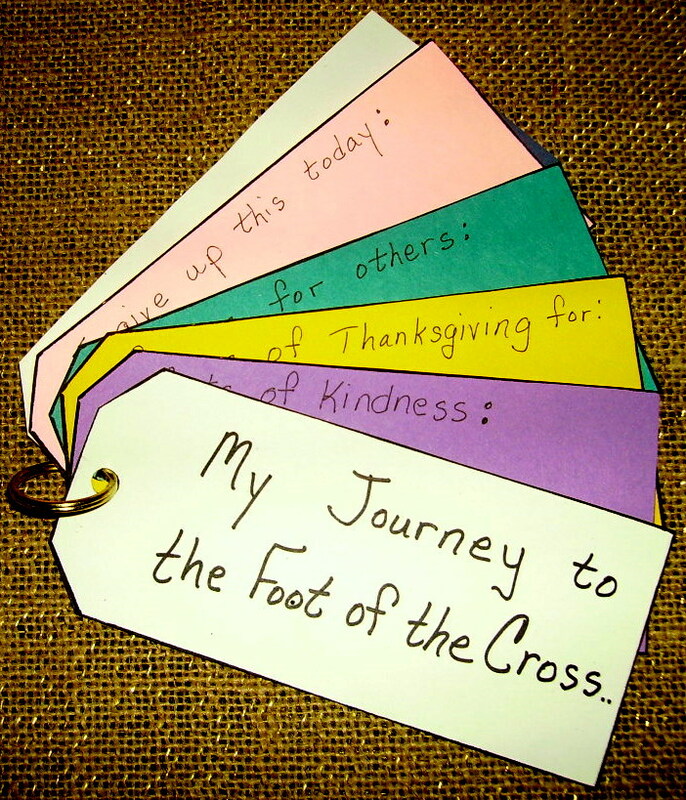 This entry was posted in 6th Grade, Easter and tagged 6th grade, acts of kindness, arts and crafts for kids, classroom art projects for lent, easy lenten classroom art, i give up this today, lenten art project for kids, lenten journal, lenten journey for kids. Bookmark the permalink.